Artificial intelligence is being used to power everything from messaging apps to Bluetooth speakers, so why not apply similar smarts to your web bookmarking service? That’s the idea behind Stash, available for your phone and your browser, and here’s how it works. 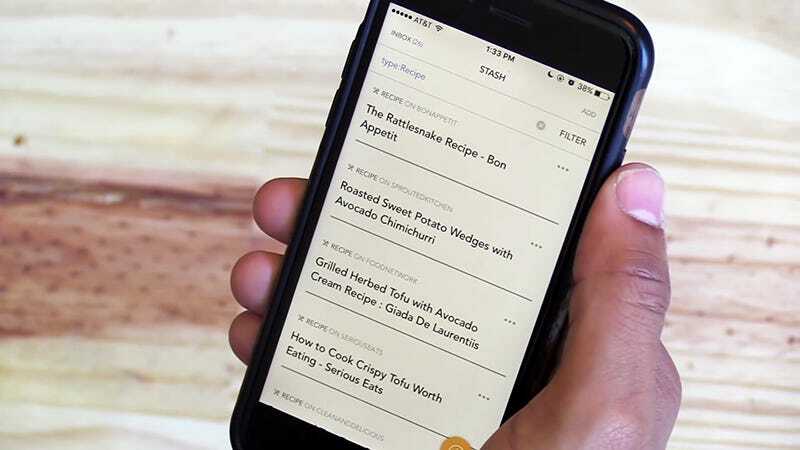 Stash works similarly to Pocket and Instapaper (and can import saved articles from both), but it also uses an AI engine to automatically recognize and categorize whatever you save. In theory that makes it easier to find later. Stash is available for on Android, iOS, Chrome and Safari, though you do need to join a waiting list before you can get started. Stash works similarly to Pocket and Instapaper. You can save websites by clicking a small icon in the corner of your browser. The list of categories quite comprehensive. The buckets include article, book, file, forum, image, job, movie, place, product, profile, property, Q&A, recipe, repository, song, video, and wiki. If you don’t like the automatic categorization that goes on (though it’s Stash’s main selling point), then you can turn it off. The one-click (or one-tap) simplicity of Stash is appealing, and after a few seconds, you see a message that your article is saved and categorized. On the web you also get quick links to tag, rename, or share your article, and you can beam it to a mobile device or set a snooze reminder for a time when you want to get back to it (tonight, morning, weekend, or the more vague “someday”). Over on mobile, Stash appears as an option on your phone’s share menu, and the same quick actions appear whenever you save anything from the web. In works from inside apps as well, so you can stash something from the YouTube app and it’s recognized as a video. When you’re ready to catch up on your links, visit the Stash app or website (as yet there’s no Instapaper-style simplifying of article layouts). There are plenty of bonus features in Stash too: sharing with other people, adding items (like movies or restaurants) via search, pinging links between your various devices, setting reminders for your saved articles as we’ve mentioned, and more besides. That intelligent sorting is really what sets it apart, though.